The Xepian-Xe Nam Noy-owned dam released about 5 billion cubic metres of water, or more than two million Olympic swimming pools. Over 6,600 people are now homeless. Officials in the province have appealed for humanitarian aid for flood victims. 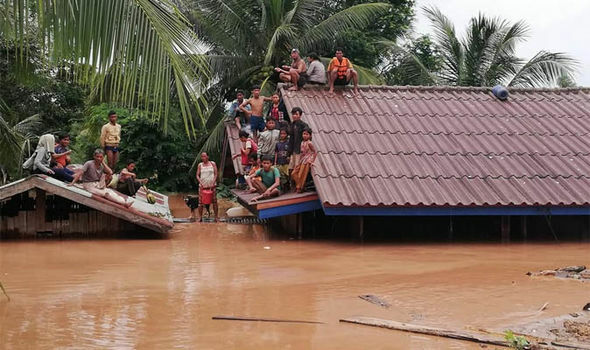 Vientiane (AsiaNews/Agencies) – Hundreds of people are missing and an unknown number is believed dead after the collapse of a hydropower dam in southeast Laos, state media reported today. The accident, which happened at a dam owned by Xe Pian Xe Namnoy Power Company (PNPC), in southeastern Attapeu province late Monday, released five billion cubic metres of water - more than two million Olympic swimming pools. Officials have brought boats to help evacuate people in the province’s San Sai district as water levels rise after the dam collapsed. 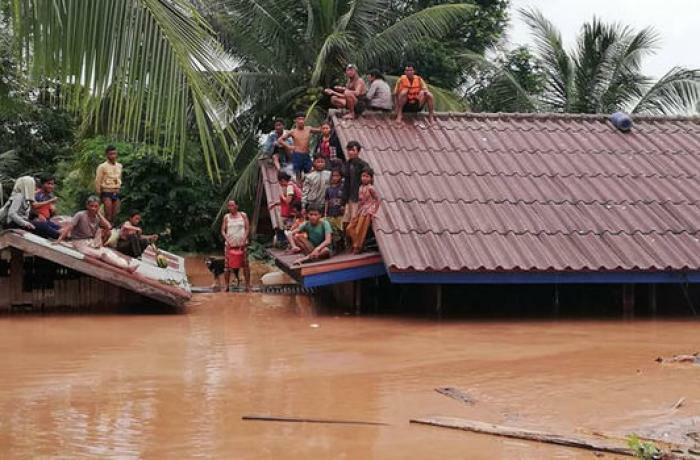 Several houses in the southern part of the district were also swept away, and more than 6,600 people are homeless. Officials in the province put out a call for relief aid for flood victims. For years environmental rights groups have raised concerns about Laos' hydropower ambitions, including worries over the impact of dams on the Mekong River, its flora and fauna and the rural communities and local economies that depend on it. Nevertheless, several dams are being built or are planned in the impoverished and landlocked communist country that exports most of its hydropower energy to neighbouring countries like Thailand. The US$ 1.2 billion dam is part of a project by Vientiane-based Xe Pian Xe Namnoy Power Company, a joint venture formed in 2012. Its construction began in 2013. Among the companies involved in the project according to the Laos News Agency are Thailand's Ratchaburi Electricity Generating Holding, South Korea's Korea Western Power and the state-run Lao Holding State Enterprise. The project planned to export 90 per cent of its electricity to energy hungry Thailand and the remaining amount was to be offered up on the local grid.